Everyone loves an MP3 Player and now you can take one with you even when the real thing isn't practical. This fun CHARM IT! 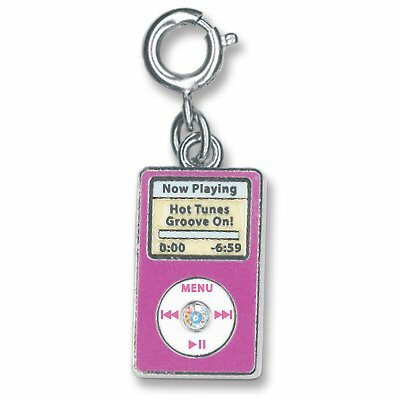 Music Player charm has a colorful pink enamel case, white enamel dial with sparkly acrylic stone, and a glow-in-the-dark screen indicating "Now Playing... Hot Tunes... Groove On!" With a simple snap of a clasp, girls can personalize their CHARM IT! jewelry with this CHARM IT! 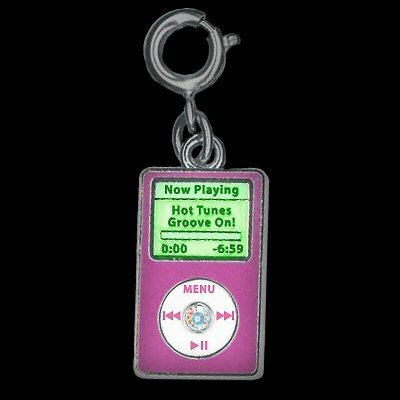 Music Player charm. This beautiful CHARM IT! Music Clef charm has a glittery magenta music clef on a die-cut star in a rainbow of colors.